Conversion pixels can get messy – especially when you’re tracking multiple conversion event types. Can you relate to this problem? Well, you’re in luck: a few weeks ago, Facebook announced the new Facebook Pixel. The Facebook Pixel combines both the Custom Audience pixel and conversion pixel into one. This new pixel will handle audience retargeting, lookalike audiences, conversion tracking, conversion optimization, dynamic product ads, and custom conversions. The old conversion pixels that you’ve become familiar with will stop working in the second half of 2016. Although no date has officially been announced from Facebook, rumor has it that the termination will happen in July of 2016. Although July may seem far away, it’s important to get in touch with your developer as soon as possible. As you may know, pixel codes don’t always fall on the top of a Developer’s to-do list. Contact your developer and inform them about the new Facebook Pixel. Work with your developer to have the new Facebook Pixel placed on every page of your client’s website. Our team is using Google Tag Manager to handle this. Look at your current campaigns with conversion pixels, and take note on when they’re up for renewal. When they renew, you’ll want to make sure you are using the new pixel for conversions. Do not change the pixel on any campaigns that are running. Do not delete old conversion pixels until the campaigns they’re associated with are complete. When all campaigns with old conversion pixels are complete, you can contact your developer and ask them to remove old conversion codes. Although this is going to require some extra groundwork, we’re really excited about the pixel update. The new pixel loads much faster than the old pixel. This means your website speed will improve, which will help your SEO efforts. Pixels can now be shared with agency partners. This makes collaborating with partner agencies a breeze. You can now track multiple events with just one pixel. In fact, you’ll be able to track NINE standard events at once. Once the code is added, you’ll never have to bother your developer again! Last week we finished upgrading all of our campaigns with the new pixel. November will be our first month using the new code, and we’re really stoked to see the results! 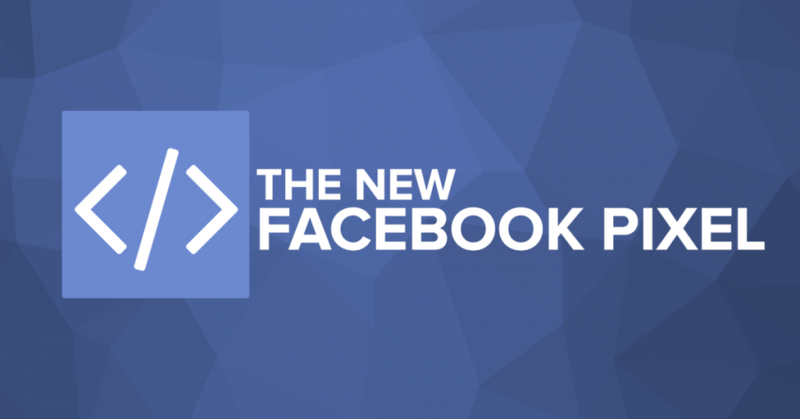 You can learn more about implementing the new Facebook Pixel here.